A flurry of activity is happening in Michigan and regionally around awarding more direct, consistent credit for competencies earned through military experience. Interested parties can read more about the MI-litary Equivalency Project slated for 2016-2018 and see below for more details about Michigan’s involvement with the Multi-State Collaborative on Military Credit (MCMC). 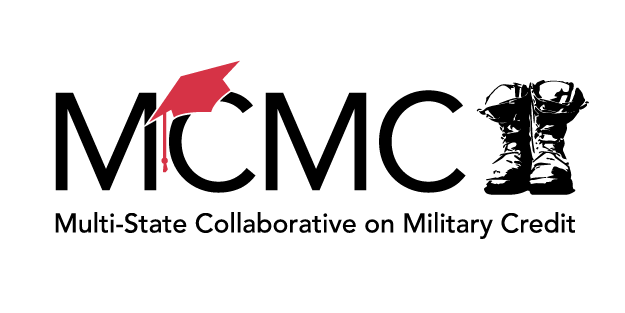 Michigan has a strong team engaged with the Multi-State Collaborative on Military Credit (MCMC), a 13-state collaborative focused on improving opportunities for institutions in our states to award academic credit for military experience when appropriate. CMVE members are encouraged to follow MCMC’s progress and can subscribe to MCMC updates and review MCMC resources of interest. In October 2014, Lumina Foundation awarded a $900,000 grant to MHEC to assist an interstate partnership of 13 states (Illinois, Indiana, Iowa, Kansas, Kentucky, Michigan, Minnesota, Missouri, Nebraska, North Dakota, Ohio, South Dakota, and Wisconsin) to advance best practices designed to ease the transition of veterans and their families from military life to college campuses, with special reference to translating competencies acquired through military training and experiences into milestones toward completing a college degree or earning a certificate or license. The three-year project will build on the efforts of individuals, who have collaborated virtually and in person over the past 2.5 years to exchange information and share best practices in four areas: articulation of credit, licensure and certification, communications, and technology. These MCMC workgroups started to meet in February 2015 and are scheduled to meet monthly to develop strategies specific to their areas of work. The grant-funded initiative began November 1, 2014. MHEC functions as the fiscal agent and coordinating entity on behalf of the states in the collaborative. The initiative is being led by the MCMC Steering Committee. In October 2015, MHEC was awarded an additional $200,000 grant from USA Funds for the Multi-State Collaborative on Military Credit (MCMC) initiative. These additional funds will support veterans in increasing postsecondary degree completion, streamlining pathways for licensure and certification for healthcare professions, supporting services during key educational transitions, and creating networks for supporting communications, technologies, and data collection and analyses. For more information contact Sara Appel, project coordinator.